Carl and Otto Springer, twins from Germany who wanted to strike it rich in America, founded Lily Springs in 1856. After failed attempts at saloon ownership, beer-making, cattle raising and even a brief stint as minstrel performers, the Springer brothers trekked out west to Dubuque responding to an ad offering for sale land rich in mineral deposits. They purchased seven acres, some equipment and started digging. The lead vein they discovered instantly brought moderate wealth to the brothers and soon the town of Springer grew around the mine. Unfortunately for the Spingers, smelting was a process that they could not fully grasp and after failing in that endeavor and almost losing their lives in a small furnace explosion, they ended up simply selling the raw ore they mined to a smelter in Dubuque who ran one of the five blast furnaces in the area. The lead mine brought prosperity to Springer for several years. Soon, the town had an ice warehouse, a post office, a creamery, a lumber mill and several businesses to support the families that had moved there. The mine ended up employing some fifty people in its heyday and became the object of attempted takeovers by rival mining companies. But the prosperity of the mine was not to last. Like so many mines in the area, the Springer mine penetrated the aquifer and quickly filled with water. Not wanting to buy expensive pumping equipment, the Springer brothers abandoned the mine, selling the deed to Charles Smithhouse, an entrepreneur newly arrived from the Albany area. Smithhouse saw potential in the waterlogged mine and set to build a steam pump to pull the water out and deliver it directly to the homes in the area, much like what was happening in the larger cities throughout the country. As a result, the town was renamed Lily Springs and soon almost every resident had fresh water flowing directly into their houses. That was in 1888, twenty years before even the prestigious Hotel Julien in Dubuque had running water in every room of the hotel. Lily Springs was billed as an “oasis of modernity in the country.” Although most homes still used outdoor privies, many of the newer homes in Lily Springs had modern water closets and plumbing installed. Even so, the water business was not profitable for Smithhouse and he went bankrupt; the pump works taken over by the city. Gas came to Lily Springs before the water and, even though electrical lines were strung up along the railroad using the existing telephone and telegraph poles, few houses were electrified by the summer of 1917. The only automobile service station in town was recently wired for electricity and some farmers near the tracks purchased transformers and ran lines into their barns and homes. Other than that, few people saw a necessity for electricity. And many didn’t trust it. The three street lamps at each tip of the town triangle were run off of gas and were lit most evenings by Tom Brooks, except during the nights of a full moon. There was some vigorous debate at city hall in recent years about changing the gas burners to incandescent electric lamps, but the discussions never resulted in any definitive decisions. And that was the problem with Lily Springs: it was trapped between the 19th and 20th centuries---between being an “oasis of modernity” and a throwback to another era. People began leaving Lily Springs and the once vibrant small town grew smaller, until not more than 70 homes remained occupied within the city limits. Those who stayed, however, were proud of their small town and its traditions. 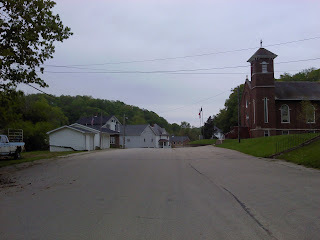 A few months ago I traveled to Dubuque to conduct some research and travel the country. Although a fictional city, I wanted to go to Lily Springs. It had become such a part of me, I wanted to walk the streets, stand underneath the Civil War statue in the town triangle and drink a soda bought from the Lily Springs Pharmacy. 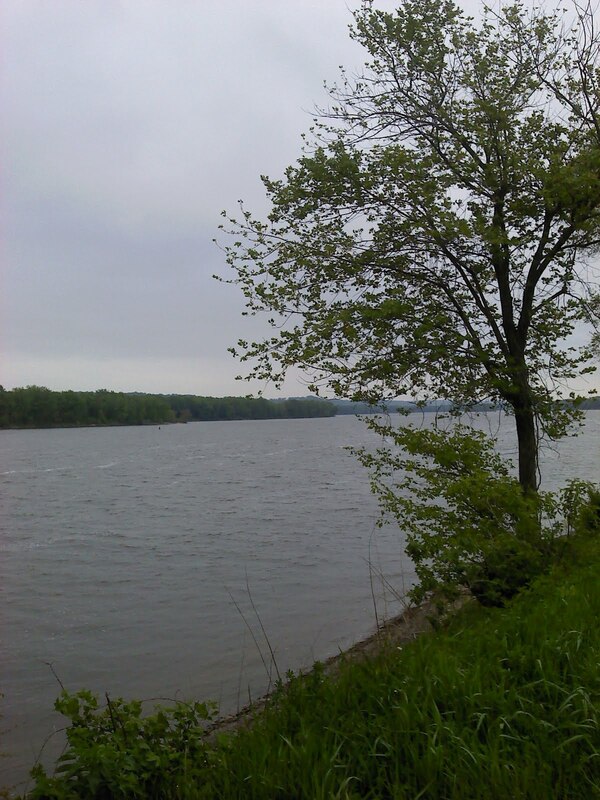 I wanted to stand on the bank of the Mississippi, near the railroad tracks and smell the air. Of course, I was doing that everyday. But the physicality was missing. It wasn't completely tangible, more like a memory or distant dream. After spending the day between the library and the Museum of the Mississippi River, I set out in the car and traveled North, not knowing where I was going in particular but knew instinctively I would recognize my destination when I saw it. Traveling the winding roads through the bluffs around the Mississippi River, I found it near the town of North Buena Vista. Standing on the bank of the Mississippi, breathing in the moist air, I knew I had arrived. Lily Springs had always been real for me. Now, it had become tangible.